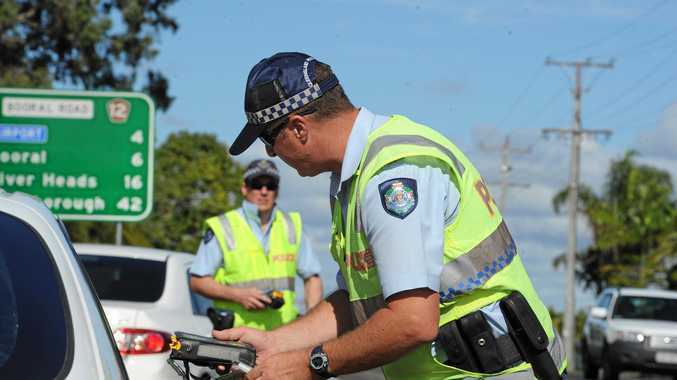 A BUNDABERG paraplegic has slammed drivers for ignoring him after he fell out of his wheelchair on a busy street. On Wednesday, January 13, about lunchtime, Michael Anderson was crossing Tantitha St towards the Club Hotel when he fell from his wheelchair on the Tantitha St island. "I was half on the island and half on the road," he said. In the space of a few minutes Mr Anderson estimated more than six cars drove past him without slowing down or stopping. Mr Anderson, 25, said he was "p****d off" and "disappointed" that none of the drivers even bothered to check that he was okay and called on people to show more compassion. "I mean, if I was an old lady or old man would they have stopped?," he said. As he was struggling to get back into his wheelchair four patrons from the Club Hotel ran over to help. "I just want to say thanks to those guys," Mr Anderson said. "Just an acknowledgment that I'm very grateful that there was someone there to help me." Mr Anderson, who suffers from spina bifida, lost control of his wheelchair because he said there was a small gap between the road and island, which made it sometimes difficult to manoeuvre his wheelchair around. 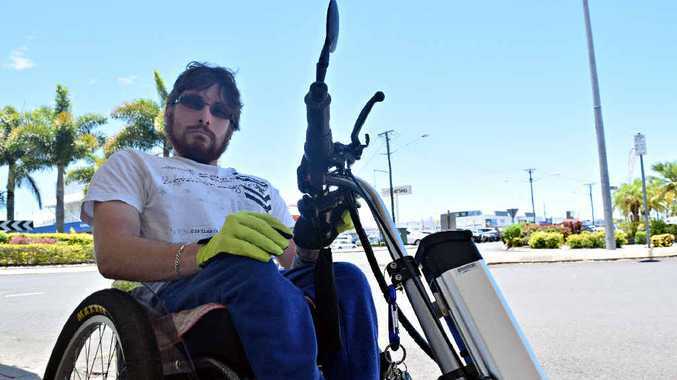 "Some of the streets in Bundaberg are not very wheelchair friendly," he said. "Also some people in wheelchairs don't have strong upper body strength." Mr Anderson only bought the wheelchair a few weeks ago. "The stability of my wheelchair was a bit rickety and it had a few scratches after the fall," he said. Mr Anderson said he was grateful to the owner of Freedom Cycle & Sports for helping him fix his chair.